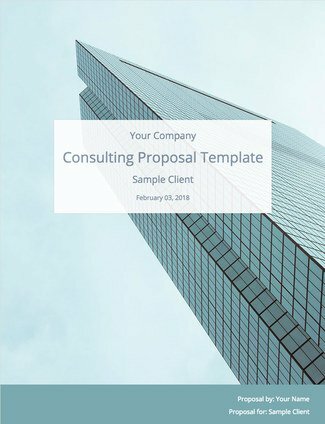 Want a Free Consulting Proposal Template? 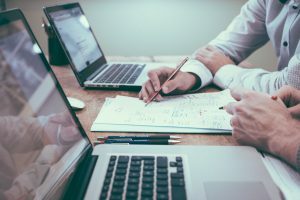 What makes a great Consulting Proposal? The best consulting proposals are built different. The content may look very similar to other consulting proposals. The issues discussed and the plan of attack might look the same on the surface. But behind the scenes, there’s a huge difference. Excellent consulting proposals are different because they have been constructed after the consultant and client have agreed on all of the terms. To reach that point, you’ll need to get a good deal of information from the client before you begin. Don’t worry; our Consulting Proposal Template will give you a rundown of exactly the information you’ll need to write a great proposal. Each project has its own unique challenges to address. Even so, a standard format to your proposals will help the prospective clients understand exactly what you’re offering. 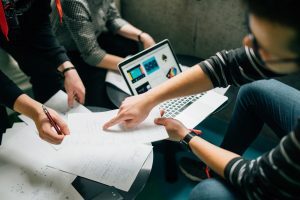 Clearly lay out the project scope and boundaries in the proposal, and you’ll establish a much stronger (and happier) business relationship with positive feedback. Executive Summary - When you’re working with big clients that require a chain of approvals from the higher-ups, an Executive Summary is a must-have. Give a concise overview of the whole proposal, from intent to plan to requirements. Keep it to one page. Business Goals - The purpose of the entire project. Don’t get so bogged down in the How that you forget the Why. Always keep your eye on the Why. Qualifications - Why are you the one to take on this project? What is your experience solving similar problems for other clients? Keep all of this information very focused on the current client’s issue, and how you will help them. Management Plan - Show you already have a fully-evolved plan of attack. Map out how you intend to solve the client’s challenge including a time frame. A comprehensive timeline format is a great way to approach this. Responsibilities and Scope - Detail what you will be responsible for. Then detail what you will not be responsible for. Make sure there is no confusion on this part. Requirements - What team members, representatives, access, contact information, access, and agreed-upon payment terms fees will you need from the client? To put together a killer proposal, you’ve got to get plenty of information from the client beforehand. The challenge the client is facing, their available resources, case studies, their dedication to solving the problem—you need it all. Has this issue been addressed by the company before? How? Who on the client side should be involved in the project, and in what capacity? What is the definition of success for this project? Are there competing views within the client company regarding a plan of action? What deadlines and other constraints will affect the project? A consulting proposal should be the very last step in getting hired. All of the proposal content must be discussed and confirmed by the client beforehand. There should be no surprises. If you’re in the beginning steps of a client relationship, don’t write a proposal yet. Take some time to set the stage. Really nail down their problem they need help on and exactly what they’re looking for before you ever begin writing. Mission creep is pervasive and deadly. Before you know it, you’ll be dealing with the client’s cockroach problem just because you never said you wouldn’t. Make it crystal clear what you are offering to do and legal terms. If there are any areas where the responsibility line is fuzzy, detail exactly what you are not offering to do in your consulting services. Whether you name it Project Details, Management Plan, or Timeline, this is the meat of your proposal. Flesh it out the business plan completely. Detail exactly what will be done, when, and by whom. Presenting a comprehensive action management plan does two things: First, it removes from the client the necessity of using resources to come up with a plan themselves. Second, it shows that you are a professional, fully capable of dealing with the problem at hand. The business goals are the reason behind every step of the project. A tightly defined, closely-related set of business goals keeps a project on track. Everyone knows what they are working towards, and how to get there. Poorly defined business goals, or goals that are not closely linked, make it extremely difficult for a project to hang together. How do we succeed, if nobody can agree on what success looks like? If you’ve just recently begun your journey in consulting, this article on WikiHow provides a good overview on the basics of consulting proposals. Even veteran consultants could benefit from this quick refresher course. BizFluent has a very to-the-point article on proposal writing, with an emphasis on creating a strong relationship with the client before even starting a proposal. The format they recommend might work better with smaller, more personal clients. William S. Frank’s article on CareerLab is also very concise, but it reflects Frank’s thirty years and millions of dollars worth of proposal experience. His tips are consulting gold. Example: XYZ Insurance is requesting an outside assessment and optimization of their management team structure. Omega Team-Building, Inc. has been delivering quality consulting services for U.S. clients for over thirty years; we are offering our services to help XYZ Insurance finely tune their management to deliver maximum value for customers and shareholders. We propose six management meetings, led by Omega strategists and attended by key XYZ members, to assess and advise the XYZ Insurance team. Our similar plans for other insurance companies have boosted employee retention by 40%. The estimated budget is $10,000.00, and Omega will require the attendance of 50% of management staff at the six strategy meetings. Example: The XYZ Insurance management team has the opportunity to make its structure more elastic and adaptable, to respond to rapidly changing marketplace conditions and an emerging millennial workforce. Example: Our Omega Team-Building Team will address the situation with a serious of on-site management meetings, structured to emphasize open communication and fast-response problem solving. Example: We will be using a consultative structure that was successful with Client ABC when they faced a similar challenge. Our 6-meeting team building plan helped grow the client’s customer base by 30% and bring in an additional $1.2 million in revenue in the six months after the Omega methods were applied. Group interviews and general assessment. Identification of target information/decision flow points. Discussion of customized strategies for opening flow points. Hypothetical scenario response and debrief. Identification of upcoming company challenges, and preparatory technique application. Example: For the project to be a success, Omega Inc. requires that at least 50% of the XYZ Insurance management team attend all six main meetings, and ancillary meetings as they apply. The Omega Inc. fees will be $10,000 for the entire project. Example: a) Half of the Omega Inc. fees will be delivered prior to the first meeting, and remaining fees will be billed after the final meeting’s completion. b) Violation of defined project requirements will require a renegotiation of terms. Example: To accept the proposal as-is, sign off below and fax to Omega Inc, 999-999-9999. If there are any amendments or discussions required, please contact Jane Doe at 999-888-8888, or through email at JaneDoe@Omega.com.